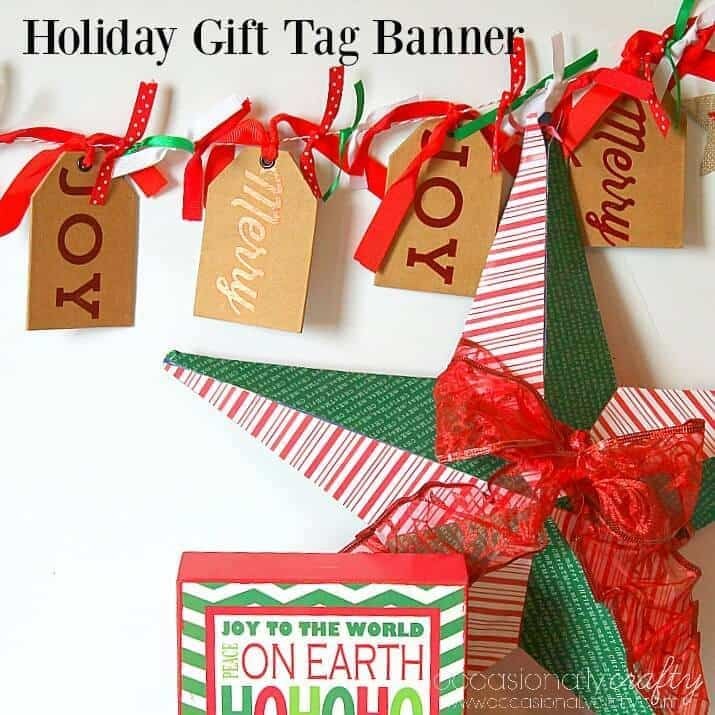 Decorate for the holidays with this easy Gift Tag Banner! 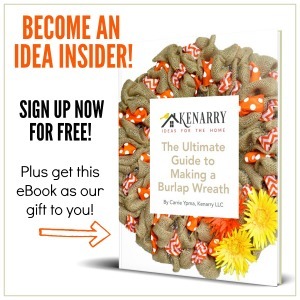 Hello again, Kenarry readers! 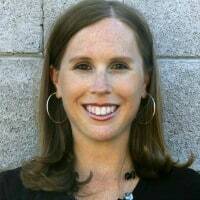 It’s Valerie from Occasionally Crafty, and I’m so excited to share a project with you that has been on my to-do list since last year! I go to Target a lot. Probably once a week or more. It doesn’t help that it’s only five minutes from my house. 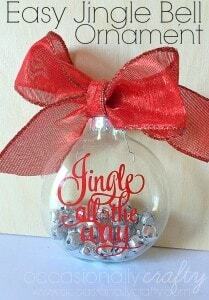 Last year, I found these gorgeous foiled gift tags in the Dollar Spot, and I knew I could use them in a craft. So I bought them. And they sat in my craft stash for a year. I just never got around to using them. 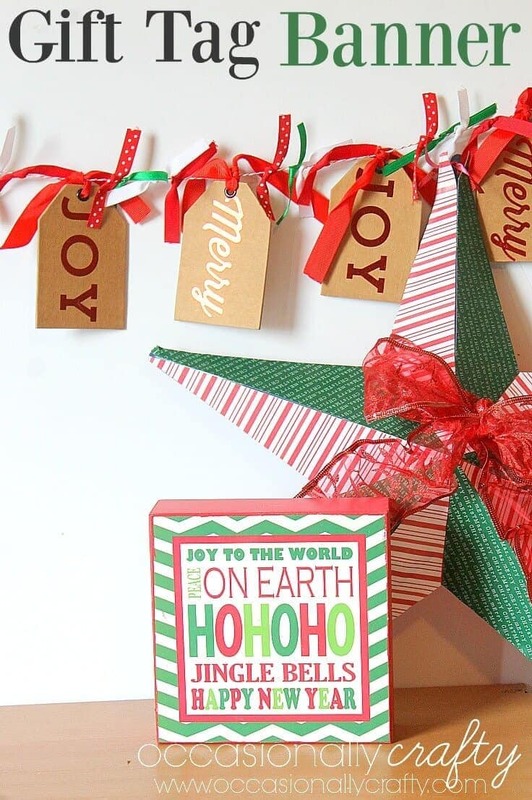 So, today, I finally used these gift tags to make this festive Gift Tag Banner. I don’t know if Target will carry these tags again this year, but if not, you can substitute any oversized gift tags in their place. This is so easy to make I’m almost embarrassed to write a tutorial for it. Measure the length you want your banner to be, and then add a few inches. Cut that length from baker’s twine. 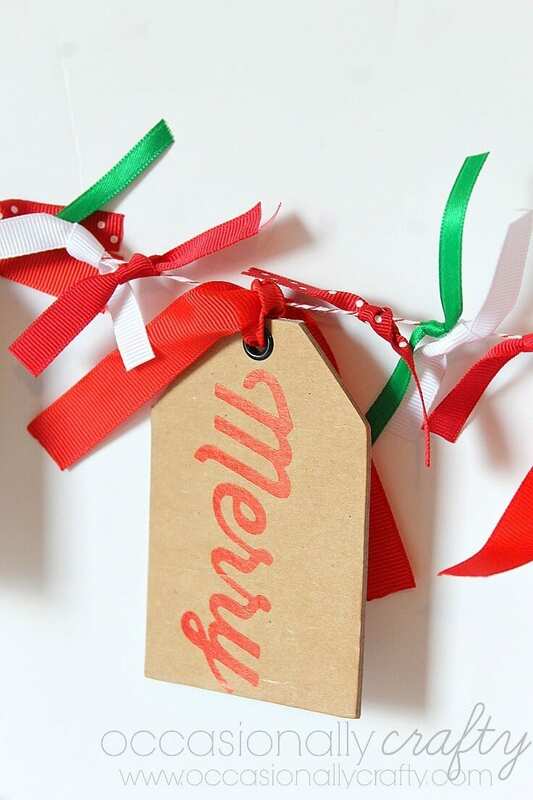 Tie your gift tags to the Baker’s Twine. Mine came with ribbon, but if yours don’t, simply punch a small hole and push a piece of ribbon through it and around the baker’s twine to tie in place. Space your gift tags as desired (roughly). You can always adjust this once it is hanging. Cut your ribbon into 4 inch pieces. I used six pieces of each color. 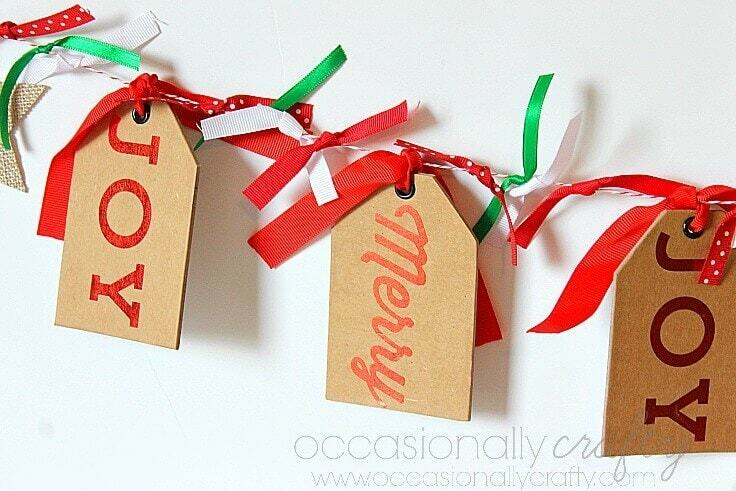 Either burn your ribbon ends or use fray check to keep ends from fraying. Tie your ribbons into a knot on the baker’s twine in between each gift tag. Add any embellishments. I liked the simple look of mine, so I just added some stars I also picked up at the Dollar Spot. Hang your banner and adjust spacing as desired. See- super easy! You could make so many versions of this! I’d love to see one with chalkboard tags; then you could write any message you want on it! This will be a perfect addition to my holiday decor. I usually wait until after Thanksgiving, but it’s been slowly creeping out as I’ve been crafting! 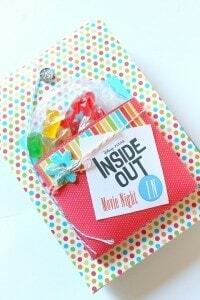 and this fun “Movie Night In” gift idea. I love these! Thanks for giving me yet another great idea! Isn’t it such a fun idea, Pam? I was just looking at gift tags in the store today…. so many possibilities.